For 43 years, our unmatched service and diverse Buick, GMC inventory have set us apart as the preferred dealer conveniently located in the heart of the Miami Valley. For the finest in automotive elegance and power, choose Mercedes-Benz. Every luxury model is built using the brand’s many traditions. Bob Ross Auto Group provides an impressive collection of vehicles to car shoppers in the Centerville area. 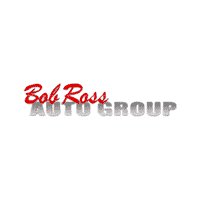 Bob Ross Auto Group includes dealerships offering a variety of brands. We offer vehicles from Buick, GMC, and Mercedes-Benz at our group of dealerships. Our various locations allow us to serve Centerville, Dayton, Beavercreek, Cincinnati, Springfield, Columbus, Richmond, IN and all of Ohio. Buick fans will be able to test drive the Regal, Lacrosse, Encore, Envision, Enclave, and Cascada. Our GMC lineup includes the Canyon, Sierra, Terrain, Acadia, Yukon, and Yukon XL. Our Mercedes-Benz lineup includes the performance and luxury vehicles like the C-Class, E-Class, S-Class, CLA, CLS, GLA, GLC, GLE, GLS, SLC, SL-Class, and the AMG® GT-Class Coupe and GT-Class Convertible. Our Bob Ross Auto Group locations are also home to service centers that specialize in the impressive lineup of vehicles we sell. Bob Ross Auto Group can help you keep your car in the best condition possible.